The Princess Anne High School NobleTeens host a homecoming celebration called "West Fest" each October for the special needs students who attend the West Wing facility at their school. This year the P.A. 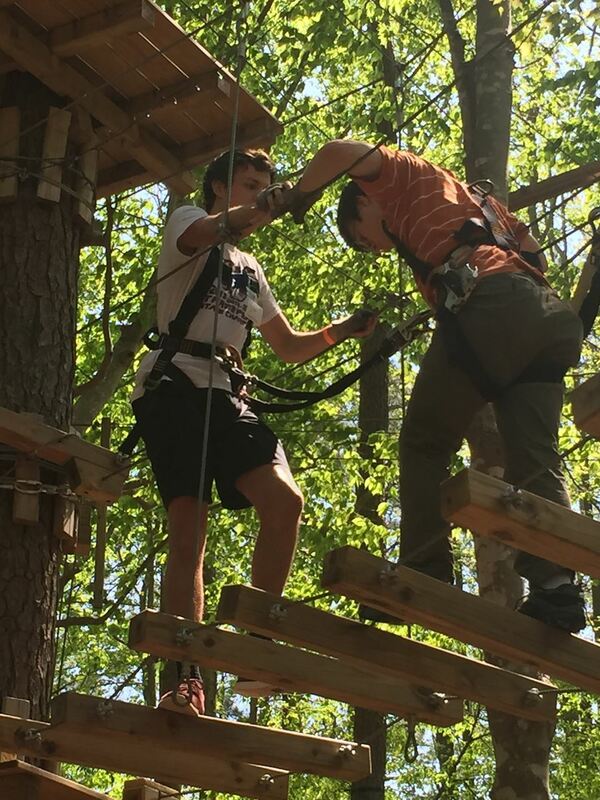 NobleTeens decided they wanted to start a new annual tradition with the West Wing students and hosted them to a day at the Virginia Aquarium Adventure Park. 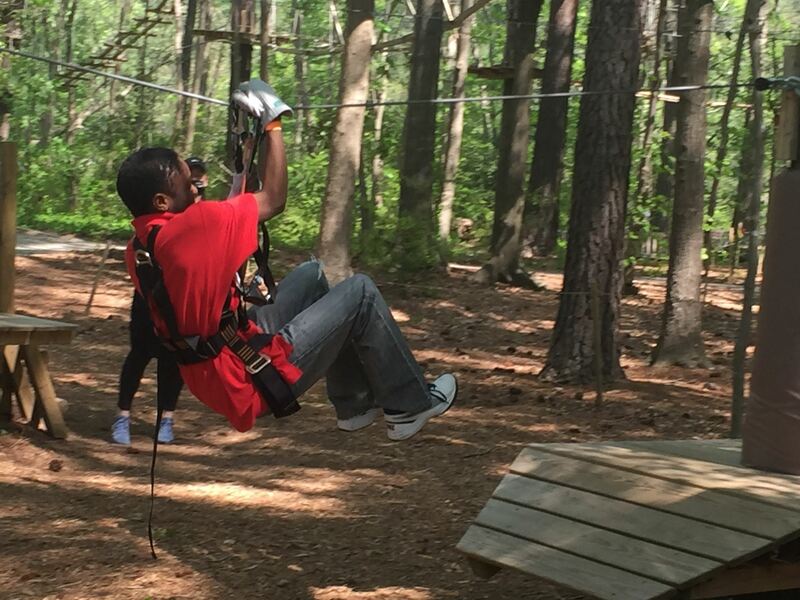 They decided that this new annual outing would be called the "Spring Swing" and it proved to be a magical afternoon for The NobleTeens and for the West Wing students! Every Year The Tallwood NobleTeens put on an AMAZING event called the "Friendable Prom" for a large group of local adults who have special needs. The Friendable Prom is the first "signature event" that was ever hosted by a NobleTeens chapter and it has become the crown jewel of NobleTeens events. This year the Tallwood NobleTeens hosted over THREE HUNDRED special needs adults to a prom night they will not soon forget! This event is coordinated 100%, soup to nuts by teenagers, and it is an impressive sight to behold! The Salem High School NobleTeens recently hosted their annual "signature event" which is better known as their "Special Skates Day". The Salem NobleTeens invite as many local people with special needs as they can to join them for a fun filled day of roller skating at the Haygood Roller Skating Center, followed by a pizza party. It is a wonderful sight to see our NobleTeens holding hands with a special needs child while they help them roller skate or watching a NobleTeen push a special needs child in a wheelchair around the skating rink. 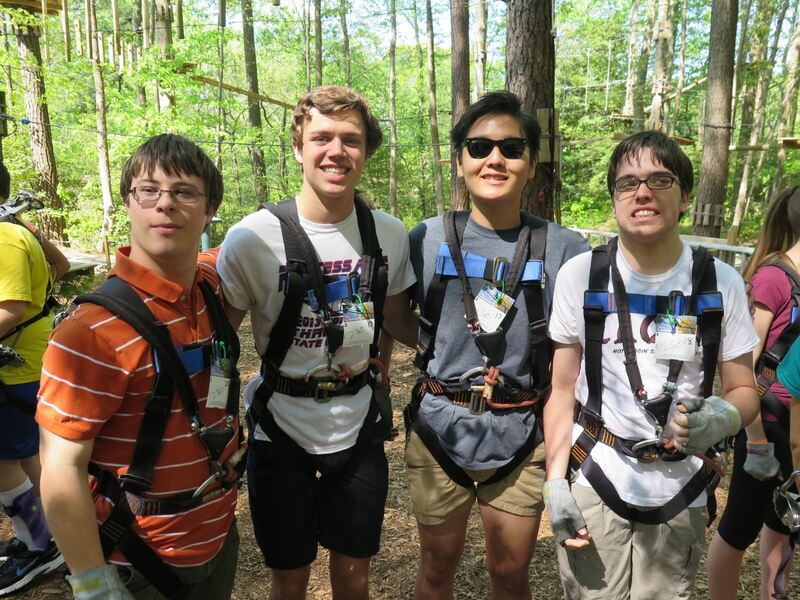 Children with special needs don't often get to enjoy an afternoon out enjoying an activity like this and the Salem NobleTeens make sure that everyone has a fantastic time! The Noblemen were recently contacted by a Mother who was looking for help for her son Bryce. Bryce was growing too big to use a special chair that he needs to take a shower. Their health insurance would not cover the cost of a new chair unless the Curry's had a shower that Bryce could roll into. This meant that they needed an almost complete renovation of their bathroom. The Noblemen partnered with one of our wonderful Community Partners, RWA Restoration, and together we were able to help Bryce out! Our good friend Bob Anderson recently put together a video that highlights who The Noblemen are, what we do and why we do it. Check out this great video and give us a call at 757-340-7900 or drop us an email at noblemail@thenoblemen.org if you would like to get involved! The first ever act of Philanthropy that was conducted by the Noblemen occurred twenty years ago and it is something that we still do today! Each Christmas the Noblemen Trolley Ride shuttles our members to the homes of local families who have a terminally ill child and we deliver them a very special Christmas. This is a magical evening that makes a big impact on these local families but it is OUR lives that are changed at the end of the night. Check out this wonderful video that captures the magic of "Helping Kids. And Changing Lives!" Noble News - Rocking the Stocking! With the help of our good friend Dave Derring, The Noblemen have started a fantastic tradition that kicks off our toy drive each year. Rocking the Stocking is a benefit concert that is hosted by the best musicians in Hampton Roads. Over fifty musicians donate their time to come out and perform! The cost of admission for patrons of the event is a toy donation or cash donation to the Noblemen Toy Drive. Check out this great video from the 2015 Rocking The Stocking Benefit Concert! Noble News - Oktoberfest 2015! Each year The Noblemeisters and Bierfraus don their lederhosen and dirndls and host an epic Oktoberfest themed fundraiser! Oktoberfest is a family friendly event and one that you do not want to miss! 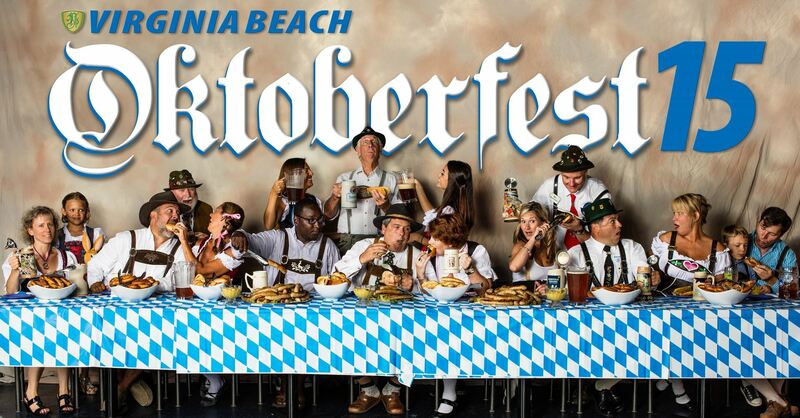 Check out this great video from our 2015 Oktoberfest celebration! Noble News - Reggie Land, A Natural Born Leader! 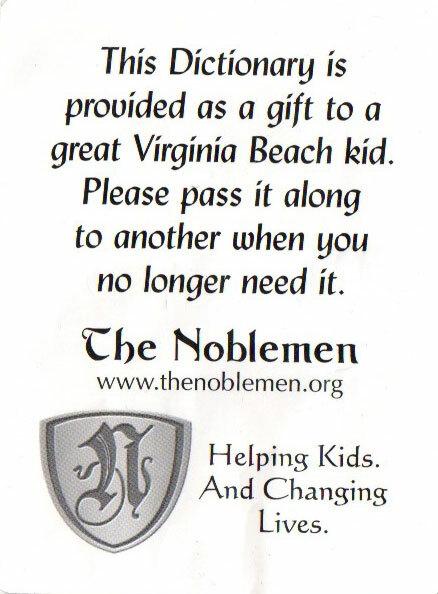 The Noblemen have a wonderful program in Virginia Beach Public High Schools called "NobleTeens". The NobleTeens program is designed to teach philanthropy to high school students and to get them directly engaged in giving back to their local community. We feel that if we can expose these students to the benefits of philanthropy then we are providing them with a gift that they will carry with them forever. One of the biggest success stories of The NobleTeens program is our good friend Reginald "Reggie" Land. Please watch this great video about Reggie! 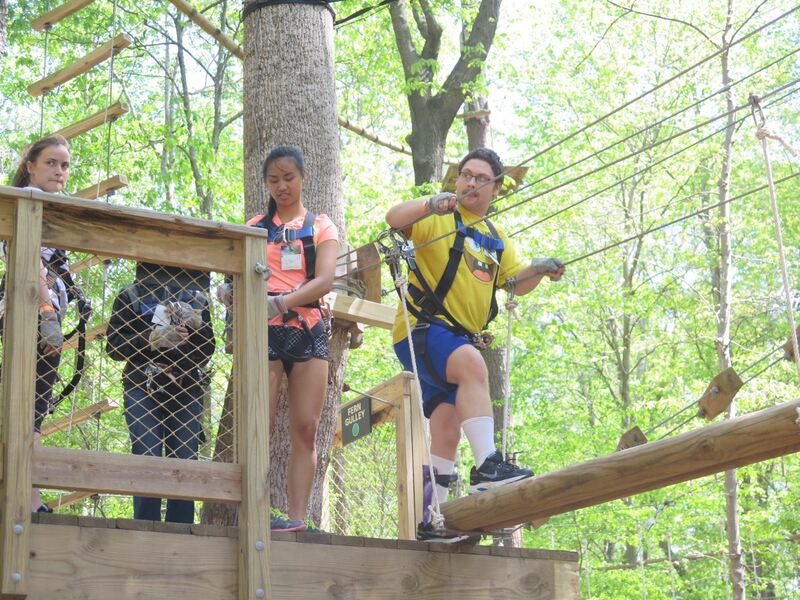 The Noblemen had a busy second quarter of 2015 as we continued our mission of "Helping Kids. And Changing Lives" right here in our local community! Here are some of the projects and Noble Deeds that have been keeping us busy! The Noblemen were delighted to help a young student at a local elementary school this summer. The school’s principal contacted us to ask if we could fund a summer program for a young boy named Quincy. When Quincy entered kindergarten this past Fall he had virtually no social skills and was well behind the educational curve. His teachers worked very hard over the past school year to make sure that he was prepared for first grade both academically and socially. Quincy had a great year and made great strides in kindergarten. Quincy is currently being raised by his great aunt. She has been awarded full custody of him, since his mother was not able to provide a safe and stable home for him. His Aunt is doing a great job providing for him and maintaining a loving home however she works full time and could not afford to put Quincy in day care this summer. “This summer has been wonderful for Quincy! I have had a volunteer come and read with him each day. As you can see we have been working on writing too! 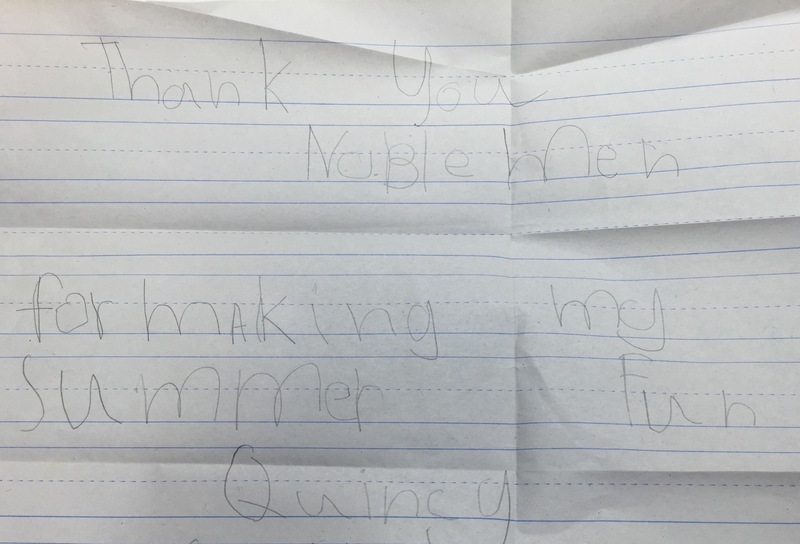 (see the picture of Quincy’s letter below) You have no idea what a difference you all have made in this child’s life. If you had not paid for him to come to Parks and Rec each day I simply do not know what Quincy would have done this summer or where he would have gone each day. A child with no Mom and Dad does not need that! Because of you he is ready for the first grade. Thank you! Good stuff and good luck in first grade Quincy! 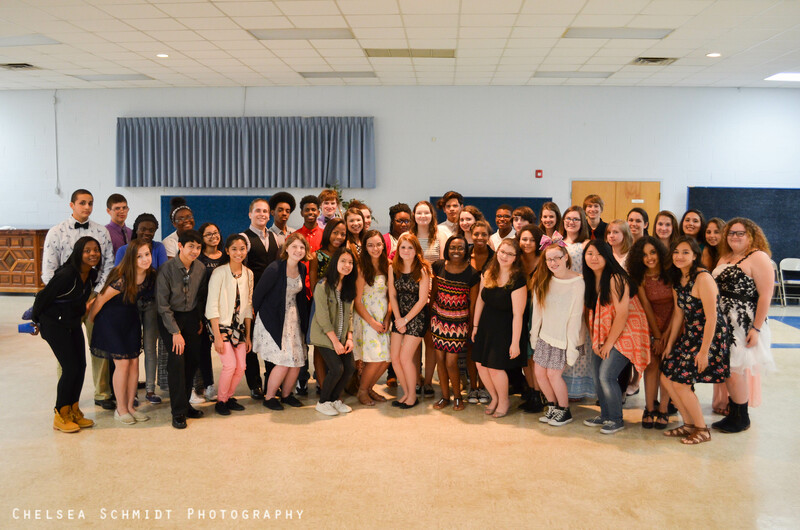 The Tallwood NobleTeens hosted on of the most wonderful Noble events of the year in May with their annual “Friendable Prom”. 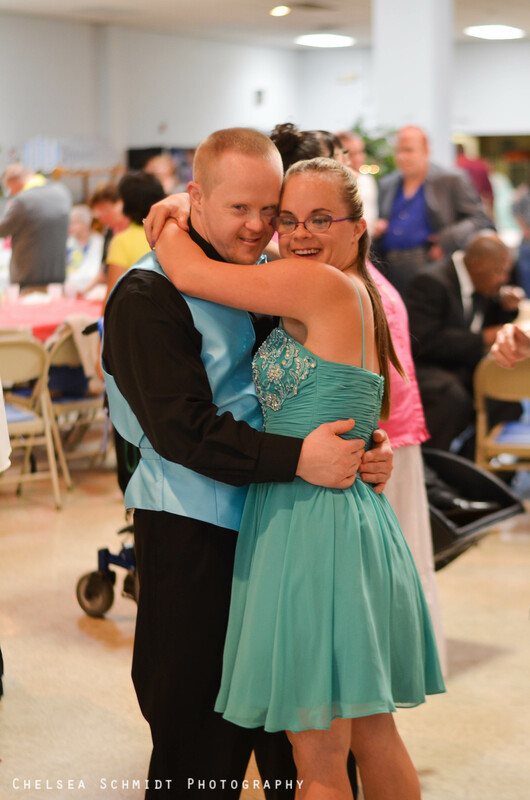 The Friendable Prom is put on for adults with special needs and provides them with a wonderful night out! The teens really go above and beyond with this event and it is simply magical for the guests who attend. Every guest enters on a red carpet that is lined with applauding teenagers. They are then treated to an amazing evening of dancing complete with a huge buffet dinner. This event is put on in its entirety by the Tallwood NobleTeens and they truly do an outstanding job. You can see that all of the guests are having the night of their lives. Well done once again Tallwood NobleTeens! Over the summer the mother of a young girl who is suffering from a medulloblastoma brain tumor contacted The Noblemen. The young girl had just finished 14 months of chemotherapy and 7 months of proton radiation at the Children’s Hospital of the King’s Daughters. The mother was hoping to find a way to fund something for the young girl and her sister to do over the summer that would help take their minds off of cancer and inject some fun. 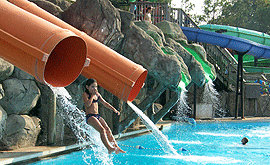 The Noblemen purchased season passes and meal cards to Ocean Breeze Water Park for the whole family so that they could all enjoy some fun in the sun together over the summer! A group of Noblemen who are motorcycle enthusiasts put on a ride at the end of May and called it “iRide to Change Lives”. This goal of the motorcycle ride was to raise funds to purchase adaptive bikes for local kids who have special needs. These bicycles are custom made to help these children be able to ride and they are a life-changing gift! The ride was a huge success and raised over $15,000! The riders started the day at Cotton Southern Bistro, rode to Pearls Bay Villa on Knotts Island and then back to the Eagles’ Nest in Virginia Beach for the after party. Everyone at the after party was treated to a touching surprise when a local girl was presented with an adaptive bike. She was able to ride a bicycle for the first time in her life and was cruising through the Eagles’ Nest in no time! These bikes allow children with special needs to participate in an activity that most of us take for granted and gives them the opportunity to hang out with other children in their neighborhood. The Noblemen are excited to host a special event this Fall where the rest of the adaptive bikes that were purchased with the “iRide to Change Lives” proceeds will be presented to their new owners. Great job Noble-motorcyclists! 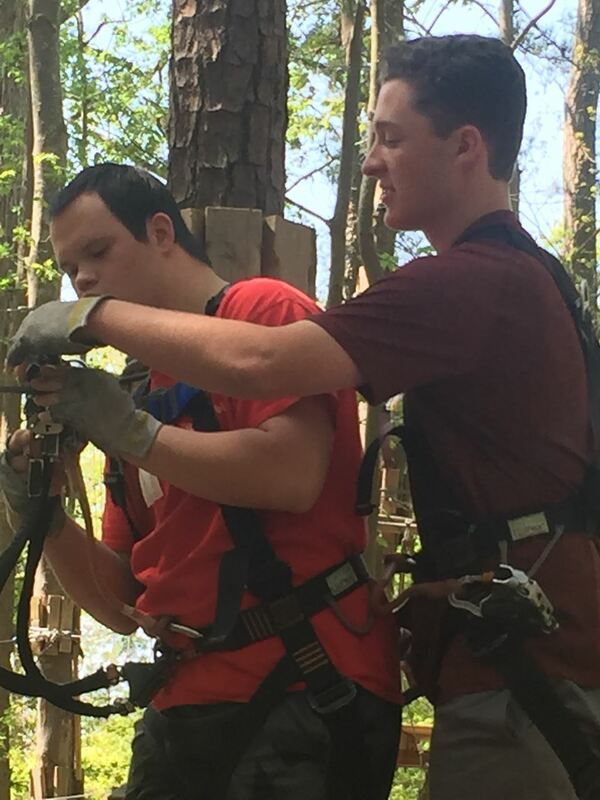 The Noblemen had an awesome time treating the Tallwood High School special needs class to an end of the school year field trip! We joined the Tallwood group for a morning of fun and miniature golf at “Jungle Golf” and then headed over to Doc Taylor’s for a great lunch afterwards. Big fun was had by all! The Noblemen have been long time supporters of the International Little League Challenger World Jamboree, a baseball tournament that is help in Norfolk every year for children with special needs. 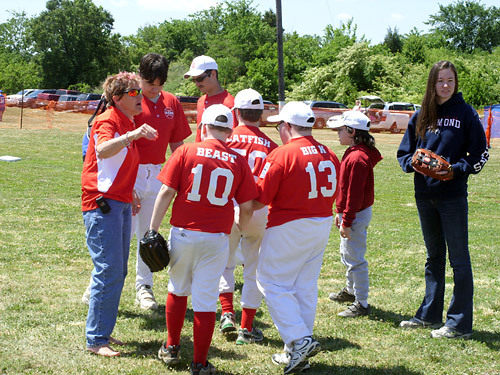 Teams come from all around the United States and even from other countries to participate in the Challenger tournament. The tournament provides a unforgettable experience for all of the children that participate. The Noblemen play a big role in making sure that everyone is able to preserve the memories they made over the tournament weekend. The Noblemen fund a photographer to take pictures of all of the teams and then to have a team picture mailed to each one of the hundreds of children who play in the tournament! 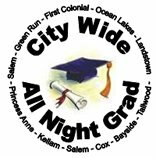 Every year The Noblemen support a wonderful program in Virginia Beach called the "City Wide All Night Grad". The program hosts all night graduation celebrations in eleven Virginia Beach Public High Schools. The purpose of the program is to provide safe, alcohol and drug free celebrations for graduating seniors. The seniors spend the whole night at their high school and have a great and safe time celebrating their graduation. The Noblemen were honored to present the "City Wide All Night Grad" program with $1100 this year! THESE ARE JUST SOME OF THE WONDERFUL THINGS THE NOBLEMEN WERE DOING IN THE SECOND QUARTER OF 2015! THANKS SO MUCH FOR CHECKING IN ON THIS EDITION OF OUR PHILANTHROPY BLOG AND DON'T FORGET TO CHECK BACK NEXT QUARTER AND READ MORE ABOUT HOW THE NOBLEMEN, NOBLEWOMEN AND NOBLETEENS ARE "HELPING KIDS, AND CHANGING LIVES" RIGHT HERE IN HAMPTON ROADS!!! 2015 has gotten off to a wonderful start for The Noblemen organization! One of the most rewarding Noble Deeds that we perform every year is our annual dictionary drive. Each year The Noblemen and NobleWomen visit all of the third graders in Virginia Beach Title 1 Elementary Schools and provide them each with the gift of a brand new Scholastic Elementary School Dictionary. We meet with each and every third grade class (over 1100 students) and go through a presentation. We explain to each of the students why we are known as "The Noblemen", what the word "Noble" means and why it is important for us to come visit with their class and do a Noble Deed for them. Each student must then enter into a "contract" with The Noblemen in order to receive their new dictionary. Inside the front cover of each book is a sticker that has our contract on it and it reads like this, "This dictionary is provided as a gift to a great Virginia Beach kid. Please pass it along to another when you no longer need it." Each student promises that when they get older and need a more advanced dictionary that they will pass their Scholastic dictionary along to another child who can use it. Every year we receive calls from parents who want us to know that their child came home with a new dictionary that was given to them by another student. It is an exceptional project that truly allows us to teach children about philanthropy! This year The Noblemen were able to make some dreams come true for two very deserving local couples! 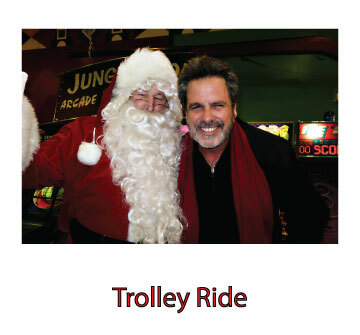 Every year our organization partners with Edmarc, a local hospice for children, on several different initiatives, the largest of which is our annual Trolley Ride. This year we decided to offer the opportunity to attend the Red Hot Valentines free of charge to some of the families that we have worked with through Edmarc. We were also contacted directly by another local couple who are parents of a special needs child. They were wondering if we would consider allowing them to purchase discounted tickets so that they could enjoy a special night out together. Instead of selling them discounted tickets, we offered them two complimentary tickets to the ball, a complimentary tuxedo courtesy of Dan Ryan's for men, a brand new gown courtesy of Karen Archbell (NobleWomen member extraordinaire) and a complimentary room package to stay overnight at the Wyndham after the Red Hot Ball. We also provided the same complimentary package to another couple that we met through Edmarc. 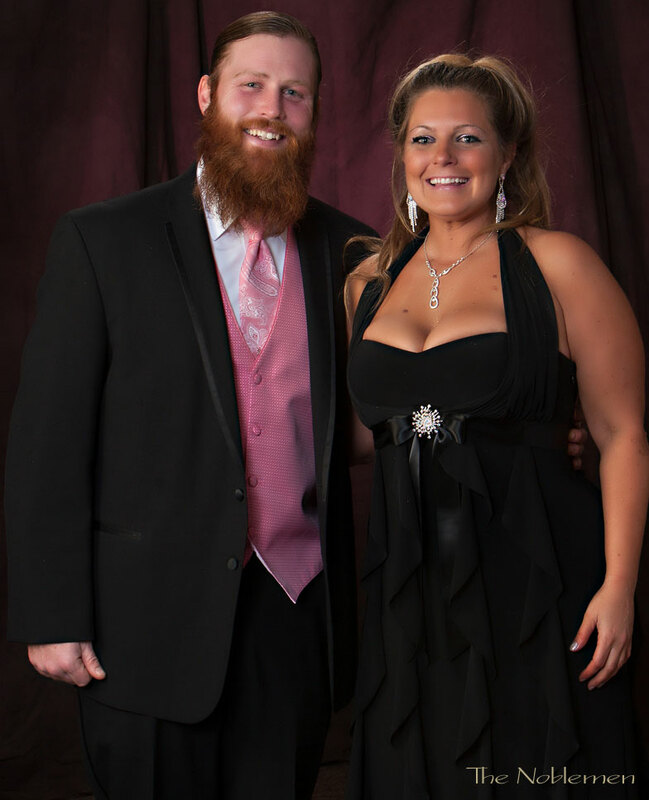 A special thanks goes out to Creech Insurance who sponsored specialized overnight childcare for one of the couple's children so that the parents could attend the ball. Parents who have children with special needs or a child who is in hospice care do not often get a special night out. The Noblemen are proud to have provided this magical opportunity to these two wonderful couples! - Put together and hung "Pawprints" for visiting exchange students. - Provided volunteers to help the English Department Office. - Held "The Mile of Change" fundraiser to raise money to purchase toys for The Noblemen Toy Drive. - Participated in the JT Walk. - Continue to hold the annual "Friendable Prom". 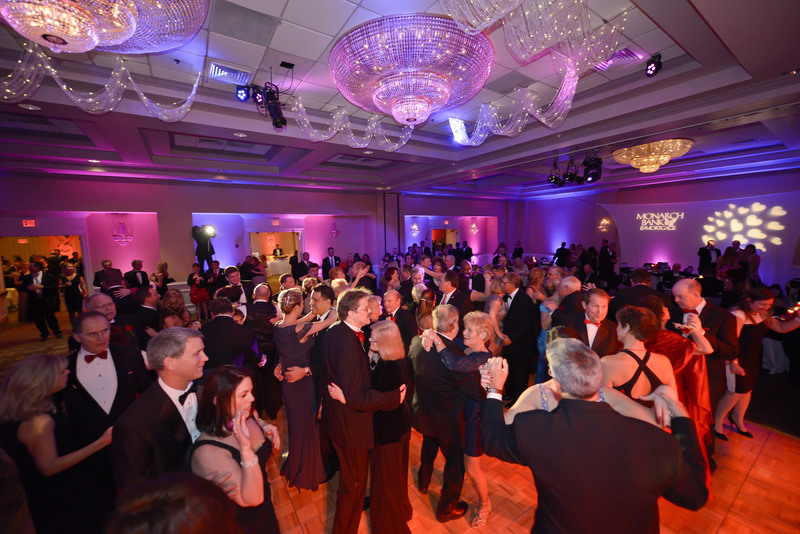 This is a wonderful prom that is held for special needs adults. - "A Lion in Need" initiative that supports kids in need. - Participation in social nights / gatherings at the Beacon House where the teens spend social time with special needs adults. - Hosted a lemonade stand at homecoming to raise money for CHKD. - Are currently hosting a book drive to acquire books to give to Saint Mary's Home for Disabled Children. - Made Teddy Bears to give to children at CHKD for Christmas. - Held a "Coins for Kids" fundraiser to raise money for CHKD. - Participated in the "Stop Hunger Now" initiative and packed food to feed starving people in third world countries. - Volunteered to help out at the Glenwood Elementary School "Fall Fest". - Had a fundraiser to raise money to help a custodian at the school whose home was robbed. - Gathered items and put together boxes of toiletries that were donated to the Samaritan House. - Continue to hold their annual "Roller Skate Day" for local children with special needs. - Continue to host theirs annual "West Fest", a wonderful homecoming celebration which they hold especially for the special needs students in PA High School's West Wing facility. - Participated in the Polar Plunge and won the award for "Best High School Team Costume"
- Are planning a ziti dinner night for families who have a child enrolled in the West Wing. - Are planning a field day for the West Wing students. - Raised the most toys of any NobleTeens chapter (for the second year running!) to help The Noblemen Toy Drive! - Continue to host an AP Study night to help their fellow students prepare for exams. - Held a "Trick or Treat so Kids Can Eat" canned food drive. - Raised money and Toys to support The Noblemen Toy Drive. - Held an "Angel Tree" initiative that provided Christmas to four local families. - Made Valentines for the teachers. - Organized and ran the "Charlie Normile Memorial Turkey Trot" race on Thanksgiving. - Raised toys for The Noblemen Toy Drive. - Helping to organize the first annual "Summerfest Concert" to benefit The NobleTeens. - Raised toys to support The Noblemen Toy Drive. - Held a peanut butter drive to benefit the Food Bank. These are just some of the wonderful projects that the NobleTeens are or have been working on. The Noblemen could not be more proud of the wonderful efforts of these teens and cannot wait for next year's NobleTeens summit! THE FIRST QUARTER OF 2015 HAS BEEN EXCEPTIONAL FOR THE NOBLEMEN! THANKS SO MUCH FOR CHECKING IN ON THIS EDITION OF OUR PHILANTHROPY BLOG! DON'T FORGET TO CHECK BACK NEXT QUARTER AND READ MORE ABOUT HOW THE NOBLEMEN, NOBLEWOMEN AND NOBLETEENS ARE CHANGING LIVES BY HELPING KIDS RIGHT HERE IN HAMPTON ROADS!!! The Noblemen kicked off the Holiday Season with our annual Trolley Ride and it was truly a magical night! Every year The Noblemen and NobleWomen deliver Christmas to local families who have a child in hospice care and who is very likely facing their last Christmas. This year we gathered at Doc Taylor's and then loaded onto four Venture Tours busses before setting out to visit the families. Each family we visit has a "Noble Sponsor" who shops for Christmas gifts for everyone who lives in the house. We also have a group of volunteers who shop for food for each family. Each family we visit receives everything they will need to put out a wonderful Christmas dinner. This is an amazing night and we always succeed in delivering a heaping dose of Christmas cheer to families who are not necessarily celebrating the holidays. The greatest part of the evening is that we, The Noblemen and Women are often times the one's who receive the greater gift. It is our lives that are changed as the result of participating in this amazing night. Thanks so much to Doc Taylor's for hosting us every year, to Venture Tours for carrying us around town to visit the families, and to all of the sponsors and volunteers who make the Trolley Ride come together. Every year The Noblemen put together our annual Toy Drive which provides Christmas to over 3000 local disadvantaged children. We put hundreds of plastic toy boxes out in businesses throughout Hampton Roads to gather toys. We also throw several events to raise toys. 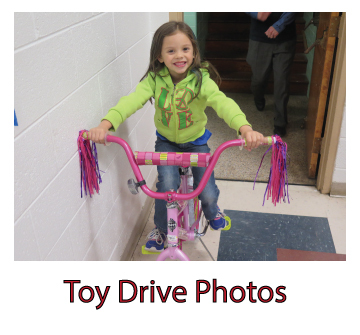 2014 was a big year for the Toy Drive and we put smiles on the faces of a whole lot of local children! Special thanks to all of the local businesses and volunteers who helped us secure our inventory of toys!